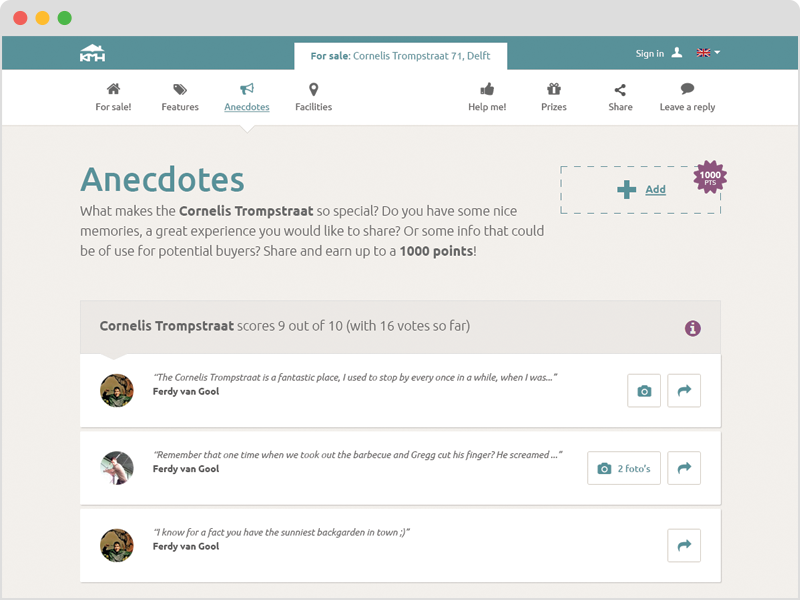 Placert: making your listings social proof. 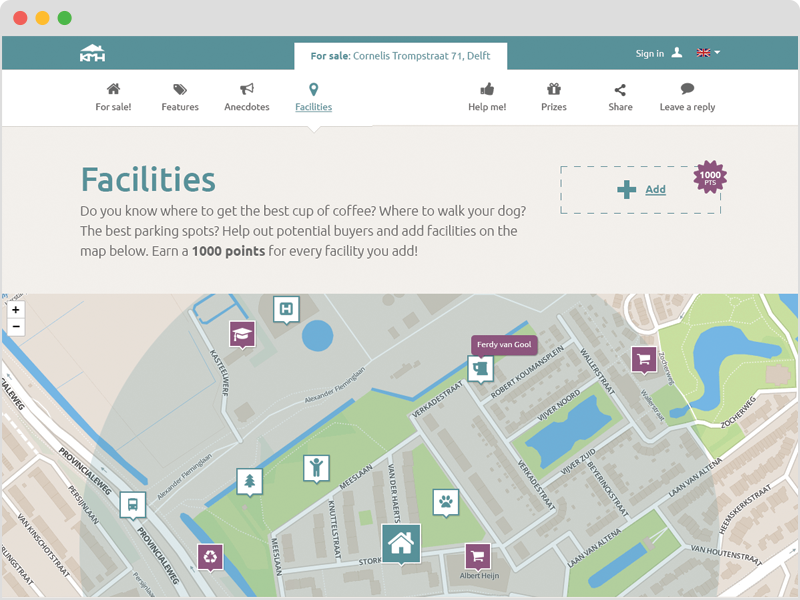 Placert adds a “soft side” to your house listing. 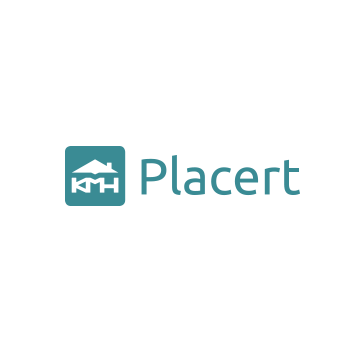 Placert adds "soft data" to a house listing by asking the owner and their social network to endorse or add features, share photos and videos, pinpoint interesting spots on an interactive map and share nice memories/anecdotes. 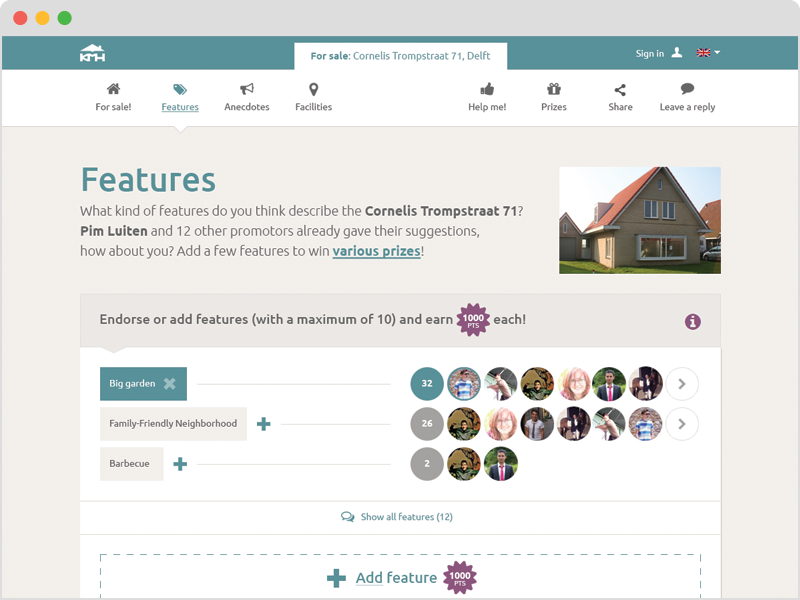 We're showing potential buyers the "soft side" of the house, data delivered by actual persons. Personal endorsements that turn a house into a home.